MOSCOW, the Russian Federation, (BulgarianMilitary.com) – The peacekeeping forces of the six CSTO (Collective Security Treaty Organization ) member countries have begun their joint military drill, named “Unbreakable Brotherhood 2018”, today in the Russian Urals city of Yekaterinburg. The current exercise is set to be the final stage of the CSTO contingent exercise “Combat Brotherhood 2018”, learned BulgarianMilitary.com. “Unbreakable Brotherhood 2018” will be held at the training area of Sverdlovsky District, in the period from 30th October to 2nd November, with its active phase starting on 2nd November. Apart of the maneuvers, planned to take place in Sverdlovsky, today’s opening ceremony was on the territory of the 32nd cantonment. It was attended by the Chief of the CSTO Joint Staff Colonel-General Anatoly Sidorov, who summed up the aims of the ongoing training, which in his words are a check of the CSTO peacekeeping forces’s readiness to accomplish missions, improving their capabilities and mastering the professionalism of the officers, responsible for command and control bodies. 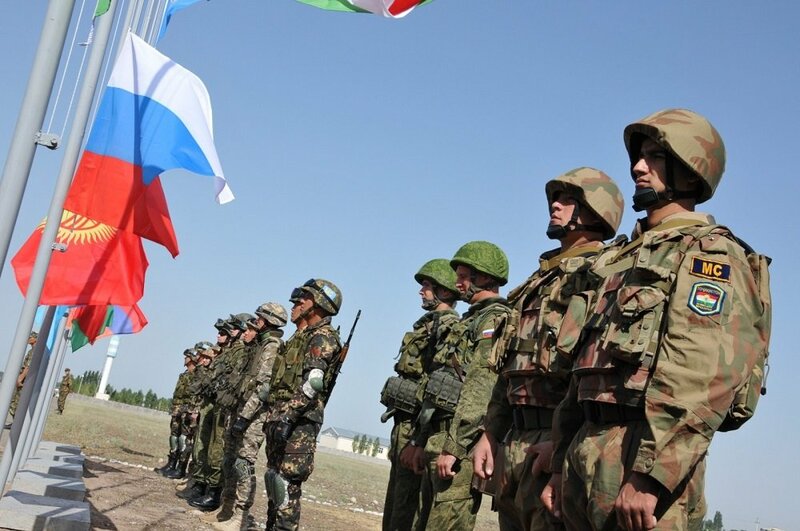 For the exercise, the six CSTO countries – Armenia, Belarus, Kazakhstan, Kyrgyzstan and Tajikistan and Russia have sent a total of near 1,300 troops, 300 pieces of military hardware and 20 units of different aircraft, including unmanned aerial vehicles. In the joint drill, Russia has involved a peacekeeping battalion, reconnaissance and logistics units, military police, field mobile command posts and aircraft. Within the exercise, the participants are planned to be involved in tasks such as monitoring the observation of ceasefire regime and control over civilians’ actions in the responsibility area, assisting in peace restoration on territories previously attacked by terrorist organizations and working with police in order to counter mass disorder. The CSTO servicemen will practice also preparation and conducting of a peacemaking operation in a non-CSTO country in Central Asia in accordance with the relevant resolution of the UN Security Council. The strategic drill “Combat Brotherhood 2018” from which the current exercise is part, is the main event of operational and combat training of the CSTO member states. It is conducted under the Joint Operational and Combat Training Plan for the Collective Security Treaty Organization in 2018.